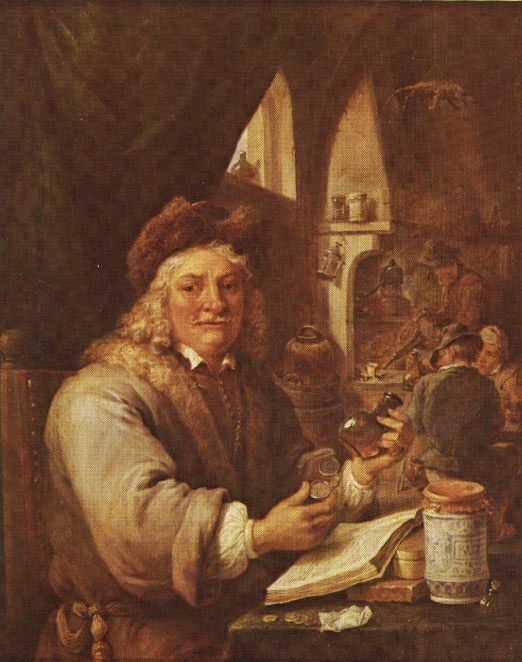 David Teniers (1610-1690) The Alchemist, 1680. This painting is a self-portrait when David Teniers was 70 years old. It is recorded in 18th century inventories as "A doctor in urines" being clearly an allusion against charlatan doctors. Although Teniers' paintings are social satires, when seen through our twentieth century eyes they can appear in a more romantic way as a celebration of alchemy.